People visiting Oxford Health memory clinics will be asked if they want to take part in the trial. People in Buckinghamshire and Oxfordshire over the age of 50 are being invited by the NHS to join a pioneering European-wide study looking at long term risks for developing Alzheimer’s dementia. They will be asked to take part in physical and cognitive tests so researchers can study changes in people who do and do not develop the condition. Changes in the brain may precede symptoms of Alzheimer’s dementia – where memory and thinking is impaired – by many years if not decades. This suggests Alzheimer’s disease – changes in the brain that leads to Alzheimer’s dementia – may start well before people start to develop symptoms. The European Prevention of Alzheimer’s Dementia (EPAD) Project is a partnership of 38 public and private organisations and funded by the Innovative Medicines Initiative. It is the world’s biggest public-private partnership (PPP) in life sciences and aims to register 3,000 at-risk people across the continent. The trial is supported by the National Institute for Health Research (NIHR) and is being carried out in Buckinghamshire and Oxfordshire by the University of Oxford, the first site to open in England and Wales and second in the UK. People in Buckinghamshire and Oxfordshire will be asked if they wish to take part in the trial – which aims to recruit 150 people – during visits to memory clinics run by Oxford Health NHS Foundation Trust. Researchers are examining the role of physical and lifestyle factors in Alzheimer’s risk such as genetics and head injury as well as excess of the protein amyloid in the brain, which is associated with the disease. 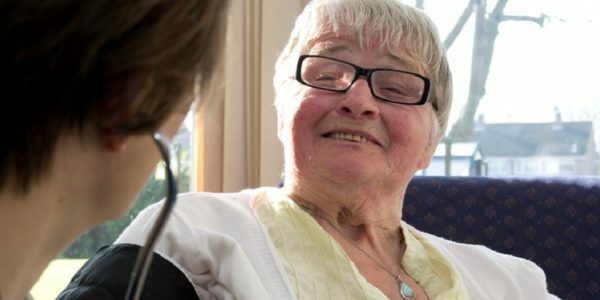 Ms Hicks found out about EPAD through Join Dementia Research, a website where the public – with and without dementia – can register to be told of dementia studies they can take part in. Dr Vanessa Raymont, the lead investigator for Buckinghamshire and Oxford, an Oxford Health staff member as a researcher at Oxford University’ Department of Psychiatry, said: “EPAD is a hugely supported, European-wide initiative that will make a massive difference to the understanding and management of Alzheimer’s disease. For information about the trial visit http://ep-ad.org/ or call 01865 283806. For information about Join Dementia Research visit www.joindementiaresearch.nihr.ac.uk or call 0300 111 5 111 or 0300 222 1122. Would you serve your trust as a volunteer governor?